This work was a tribute to Rob’s father who passed away due to complications from heart disease. The side shown in the photo was based on the EKG strip provided by the EMTs who were helping Rob’s father when he passed. 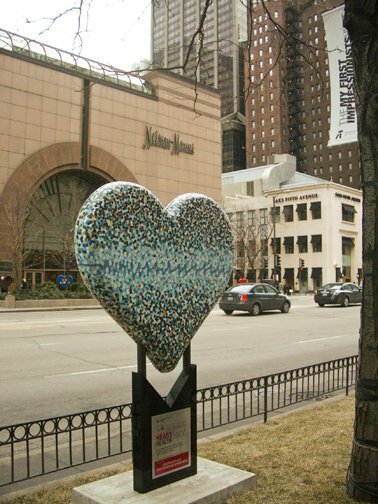 This work was part of the “Hearts A Bluhm” public art project through Columbia College and Northwestern Memorial Hospital. Rob was featured with this piece on a morning news show and the work sold shortly after the live segment.